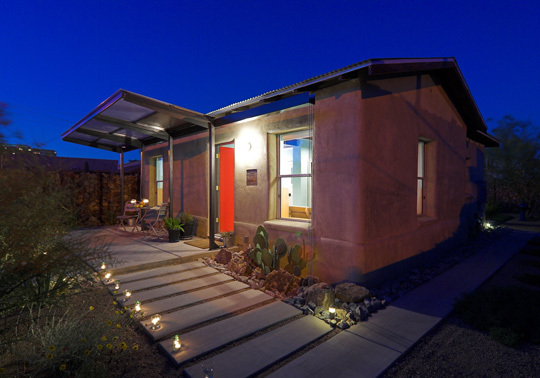 This 1929 adobe home was in an unlivable state when purchased. The renovation included repairing the adobe walls, and reworking the interior to create an open plan while maintaining the existing footprint. To accommodate new plumbing and electrical systems, a polycarbonate-clad wainscot was added, giving a distinction between old and new.